Supreme Court Bail Applications, if the Local or District Court refuses you bail and there are no exceptions which apply to allow a second bail hearing, or you are unable to meet the conditions of bail granted, you may make a Supreme Court bail application. Obtaining bail requires the defendant to convince the Court that bail should be granted through admitting evidence which will show the defendant will comply with any bail conditions, will not commit a serious offence whilst on bail and will return to Court on the next appropriate date. This is not a simple process and requires expert legal representation, particularly in the Supreme Court. George Sten & Co Criminal Lawyers have extensive experience making bail applications in the Local, District and Supreme Court. We are able to greatly increase the chances of bail being granted by arguing the necessary elements which will convince the Court bail should be granted. The Supreme Court is the highest court in NSW. Bail applications in the Supreme Court are a more formal process than bail applications in the Local or District Court. For example, applications for bail in the Local Court are generally made by handing up documents to the magistrate by both the defence and the prosecution. In the Supreme Court however, the Judge will be more thorough and rigorous and go into greater detail concerning the merits of the bail application. A Supreme Court bail application may be an application to release the accused from prison (release application) under Section 49 of the Bail Act, or the prosecution may make an application for a person to be detained in custody (detention application). A variation application may also be made if you cannot meet the conditions of bail granted by a Local or District Court. The Supreme Court may refuse the application or vary the bail decision. The Court may also impose more stringent bail conditions. When making a bail application in the Supreme Court, it is essential it is in the appropriate form and completed properly. This is available on the Court’s website. It may be completed at the Court Registry, sent by email, faxed or posted to the Court. It is vital the form is completed properly otherwise the Court will not accept it. 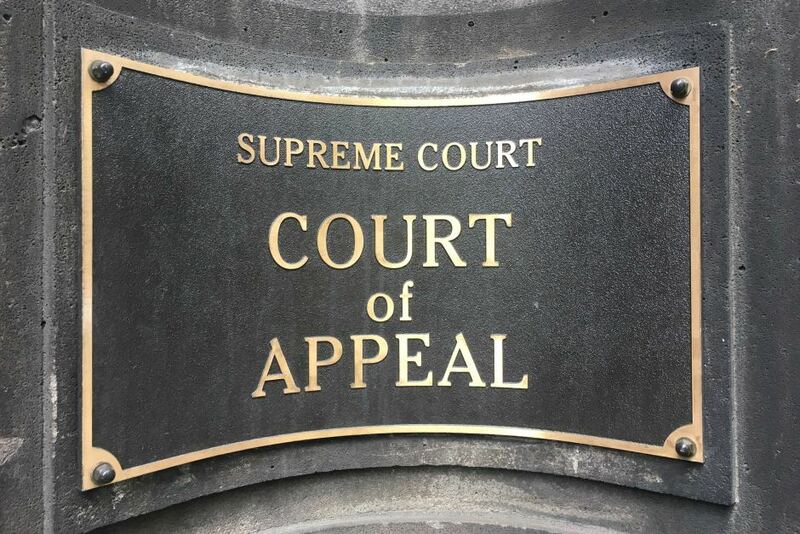 The Supreme Court may refuse to hear a bail application on a new ground if it is deemed to be ‘frivolous or vexatious’, or ‘without substance or with no reasonable prospect of success’. Once the appropriate form is received by the Court, the matter will be listed for a bail hearing. This may take weeks or months due to the large amount of work the Supreme Court deals with. The week before the bail hearing, there is a ‘call-over’ where the matter is mentioned in Court. This gives the parties the opportunity to advise of any relevant information such as changes or updates. Once a hearing date is allocated, generally it cannot be changed. If the bail application is ready to proceed, you must file a ‘Notice of Readiness to Proceed’ prior to the call-over date. All information about the accused including residence, employment and surety must be presented to the Court in affidavit form or through sworn oral evidence. The judge may want to hear evidence from any person you might live with while on bail, anyone who is putting up money or property to secure your bail or anyone who may employ you. For this reason it is important that anyone providing evidence is available on the day of the bail hearing to provide evidence in person to the Court. The Supreme Court pays particularly close attention to the merits of a bail application in order to ensure as much as possible the defendant will not breach their bail conditions, commit an offence whilst on bail and will return to Court on the next appropriate date. Whether or not the Court decides to grant bail also depends on the strength of the prosecution case. There may be a dispute between the defence and prosecution about certain evidence, in which case the judge may allow for a cross-examination of the police officer in charge of the matter to determine the strength of the case. To ensure you are given the best chances of bail being granted, it is vital to retain an expert criminal defence lawyer with experience in Supreme Court bail applications. Under Section 67 of the Bail Act, the Court of Criminal Appeal may hear a bail application in limited circumstances. This includes where the Court has ordered a new trial and the new trial has not commenced, an appeal from the Court is pending in the High Court or a bail decision has been made by the Land and Environment Court or the Supreme Court. You may also lodge a bail application in the Supreme Court if your matter is pending an appeal at the Criminal Court of Appeal. Bail may be granted if special or exceptional circumstances exist. For more information on bail applications and Supreme Court bail applications, contact George Sten & Co Criminal Lawyers. We are available 24 hours a day, 7 days a week and can be contacted on (02) 9261 8640 during business hours or 0412 423 569 outside of business hours. We may also be contacted via email at georgesten@criminal-lawyer.com.au.